The Institute of Contemporary Art (ICA) at the University of Pennsylvania is pleased to present The Freedom Principle: Experiments in Art and Music, 1965 to Now. This large-scale group exhibition links the vibrant legacy of avant-garde jazz and experimental music of the late 1960s (particularly within the African American arts scene on the South Side of Chicago) and its continuing influence on contemporary art and culture today. The exhibition will occupy the entire museum and will be on view from September 14, 2016 through March 19, 2017. The Freedom Principle: Experiments in Art and Music, 1965 to Now is organized by Museum of Contemporary Art Chicago. Lead support for the exhibition is provided by Cari and Michael Sacks. Additional generous support is provided by the Pamela Alper Curatorial Fund, Dr. Anita Blanchard and Martin H. Nesbitt, Lester N. Coney and Mesirow Financial, Anne and Don Edwards, Denise and Gary Gardner, Vicki and Bill Hood, Jeanne and Kevin Poorman, Linda Johnson Rice, Desirée Rogers, Lloyd A. Fry Foundation, Nickol and Darrel Hackett, Connie and Ed Horner, Inman Gallery, and Shirley and Walter Massey. Support for The Freedom Principle at ICA has been provided by Nancy & Leonard Amoroso, Candy & Michael Barasch, Pamela & David Berkman, Julie & Larry Bernstein, Larry & Marilyn Fields, Carol & John Finley, Cheri & Steven Friedman, Carolyn Oakley Lowe & Winston I. Lowe, Marjorie & Michael Levine, Toby Devan Lewis, Christina Weiss Lurie, Amanda & Andrew Megibow, Midge & Simon Palley, Norma & Lawrence Reichlin, Patricia & Howard Silverstein, Bryan & Meredith Verona, and Susanne Vielmetter Los Angeles Projects. 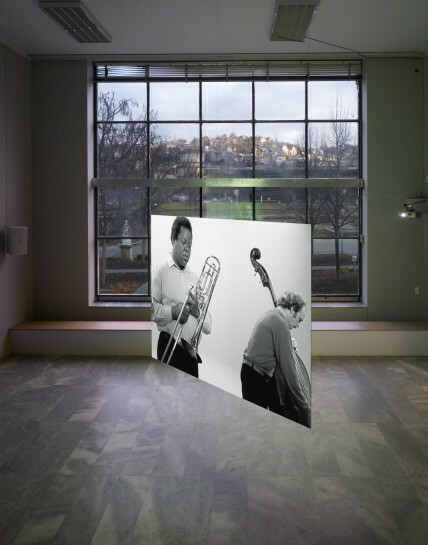 Image: Stan Douglas, Hors-champs, 1992, installation view Württembergischer Kunstverein Stuttgart, 2007, © the artist.